Crouch Enders love our local green spaces. That came across loud and clear from the recent feedback we collected at our stall on the Town Hall Green just before Christmas. We are grateful to the many local residents who braved the cold and had a go at completing our questionnaire on the local environment: your views are important. The Parkland Walk appears to be the most popular of our local spaces, closely followed by the Town Hall Green and the Crouch End Playing Fields. But we must not forget that we have several smaller pockets of green in Crouch End (an example is the small grass triangle between Avenue Road and Crescent Road). 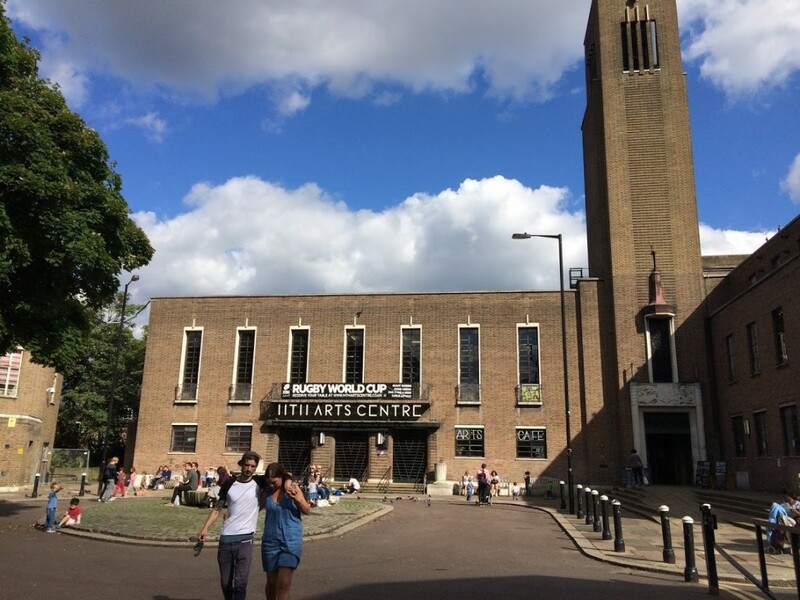 The Forum is compiling a list of such spaces to ensure they are conserved, because as we are well aware they attract developers who will try to build anywhere they can. The Neighbourhood Plan that we are currently drafting will seek to protect such spaces from unwanted development. Our questionnaire responses showed that most Crouch Enders are opposed to any form of development on green spaces. Floodlighting of green spaces for sports use is a topic that creates a lot of debate. We found that opinions were divided on this. On the one hand there is recognition that sports club need to flourish and floodlights enable facilities to be used for longer periods. And for some, a well-lit green space gives a greater feeling of personal security. But on the other side of the argument many feel that floodlights contribute to yet more light pollution from which London suffers generally. It’s rather difficult to look up and see the stars in London because there is so much ambient light. And there are concerns about the effect of so much artificial light on wildlife. So which side of the argument do you favour? We also asked whether there are specific locations that could benefit from more trees. 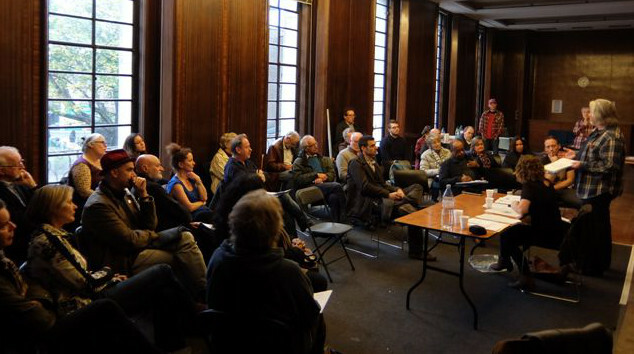 Suggestions received included Haringey Park, Ferme Park Road and the Town Hall Green. One respondent pointed out that large trees can be a cause of subsidence to houses. However the Council is aware of this, and now any new street trees are selected from a carefully selected list of smaller trees, such as Rowan and Amelanchier, that do not grow to great size. We would still like to hear views from more Crouch Enders, and we are planning to have a Saturday stall in the Broadway before long. Do keep a look out for us! 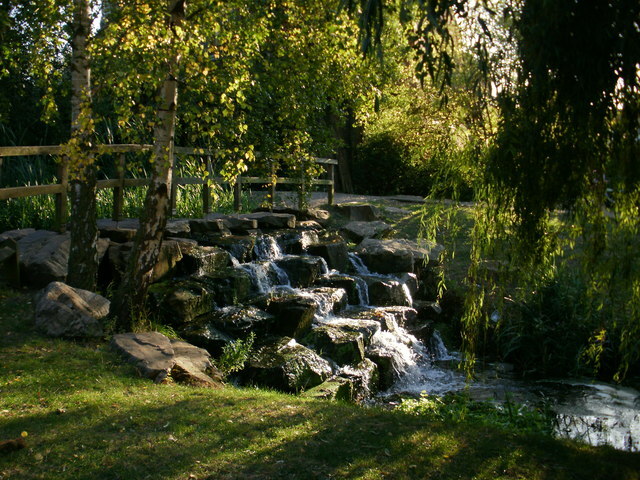 The featured image is of the waterfalls in Stationer’s Park supplied by Geograph, and may be reused subject to this creative commons usage licence. The falls are under repair at the time of writing. Hi Rob and thanks for this. I think it’s a great idea to spot the spaces that need to be preserved from development. Nelson Road also needs more trees, lots have gone and not been replaced (I’ve lived 22 years on Nelson). Council may be short of cash, can we offer any to help with this? Fieldfares were feeding on the berries in trees along Nelson last week – they come from, Iceland, Scandinavia or as far east as Siberia!